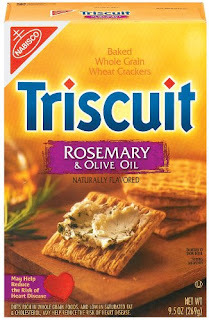 Dear Rosemary Olive Oil Triscuits: You are evil. You are so goddamned tasty, and yet I could only eat three of you before I was full and my stomach began to hurt. Oh, but then you tempted me with your wily ways, beckoning me with your herb-flavored, woven-wheat-y, artificially-enhanced, salty, savory deliciousness and I ate a fourth...but it backfired, didn't it, because you did not get digested. And you HURT coming up. Why did I even let you into my life? I can't even eat enough of you to get a traceable amount of protein out of the effort. You are useless to me. I hate you. Go to hell. I agree! 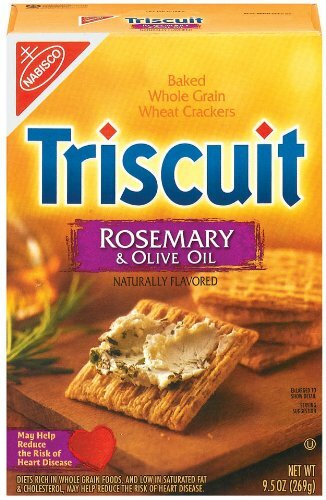 Rosemary Triscuits are evil because they look healthy (Yay! Whole grains!) but there are not healthy (Boo! Too much salt! ).